1. What is Bashert about and why did you write it? Studying to be a rabbi, I discovered the transcendent power of “the story”. My professor, Rabbi Abraham Joshua Heschel invited the great Catholic theologian Andrew Greely to speak to our class. He told us, “Religion is story, before it is anything else…and after it is everything else.” I served as a Rabbi for three years before I decided to pursue my dream of becoming a film-maker. Each week I delivered sermons, lectures and classes and had acquired the discipline of creating stories with familiar heroes, villains, challenges, climax and denouement. When I met Marion, a film editor, writer and great story teller, I knew that I had found my Bashert. How I survived after Marion’s death required that I create a story that would be built on the lives (spiritual, emotional, physical and dream-like) that we experienced together. Not a memoir, or a diary, but a story built loosely on our adventures and the interesting people we met. Why not lead readers on an exciting journey that would make them laugh, cry, and rejoice as they come to know the protagonists? Why not create an ending that echoed the spiritual journey we were on and the love we shared? 2. Love has never been more relevant. Why love? Why now? “What the world needs now is love, sweet love. It’s the only thing that there’s just too little of” (Burt Bacharach song sung by Diana Ross). I have lived through some tumultuous times but none as terrifying as the one we are currently in. Our country is rent asunder and our leadership appears to be unfit to heal the wounds that we inflict upon one another. The function of artists and writers. During World War II, there were stories of valor and sacrifice but what gave us the courage to carry on were the love stories that provided hope to a distressed country. What can unite us and help us heal as a people? At this time of chaos everywhere on the planet, the greatest gift artists and writers can bestow are depictions of a better, happier life, one in which we can believe that there is purpose, truth and joy if we open ourselves to the magic of love. 3. Why do we never see a mature love story? Why do we forget that there is plenty of conflict and drama in an ongoing love story? From fine art to films, central characters are generally young because that is when we are in our physical prime. When youth equals beauty, naturally watching young people has more popular appeal. This is not new. In their Art, the ancient Greeks, Romans and even Egyptians and Mesopotamians worshiped the beauty and vitality of youth. There is a small section of Bashert in which I discuss the Epic of Gilgamesh and his quest for eternal beauty – which, of course, ends tragically. There have been many successful plays built around characters of all ages. Some movies are, too, but most tend – in the U.S., anyway – to exclude tender stories of love and caring, featuring mature characters. There are a number of films built around older protagonists but most of them are made in other countries. The French seem to lead in that direction. “Amor”, a love story about an elderly couple won the Academy Award for best foreign film in 2013. Bashert is an adult story about everlasting love. At its heart is a strong spiritual dimension. The film is about ongoing, ever-lasting love. It glorifies physical and emotional love in this life…and beyond. I believe that such a bond between two lovers lasts forever. How does that happen? I urge you to read the book. 4. Molly is quite the firebrand but at times she teeters on being irrational and yet she never goes over that line. She walks right up to the line, but she’s always grounded. How hard was it to create that delicate balance for this character? MOLLY. She’s quite the firebrand and at times she teeters on being irrational but she never goes over that line. She walks right up to the line, but she’s always grounded. How hard was it to create that delicate balance for this character? The truth? Extremely difficult. Fortunately, my editor, Carl Lennertz, my daughter Polly Segal and a close friend of many years, the gifted actress and writer, Janice Lynde patiently guided me along that treacherous path. It would have been so much easier to create a bitchy young woman. It might be more colorful, more entertaining and certainly easier to write. The problem is that it would be like sticking a coarse joke into a gentle love letter. Every novelist constructs an entire edifice. Each floor, each room has to support the one above and not destroy the ones below. There is no room for a quick laugh that shakes up the story. Writing a novel requires building scenes that grow believably – occasionally surprisingly – into a single piece. To this day, when I read the revised pages, the Molly that finally emerged makes me cry. 5. All of your female characters are empowered and strong, fully rounded, flawed and yet heroic characters. How do you write these characters and where do you find the inspiration for the women that show up in your book? I was fortunate to be raised in a family with three strong, lovable and wise women. My mother devoted her life to sustaining, guiding and inspiring my brother and me. My Grandmother, who lived with us was my connection to everything spiritual. She gently taught me to read and sing the prayers as she told me heroic stories that sparked my imagination even as a small child. My father’s sister never married, so she lived with us and showered whatever gifts she could on us. She bought me a small blackboard when I was five and taught me to write letters of the alphabet so that when I started school the following year, I was immediately seen as one of the more advanced students. Girls were always easy to talk to. They laughed more than us guys. They were better looking and something they wore or put in their hair made them smell really good. I found myself being particularly protective of the girls in our crowd. Out of childhood and into the world: When I left Youngstown and went to NY to study at Columbia and The Jewish Theological Seminary, I was way behind because most of my classmates came from private schools or Hebrew camps where they learned to speak the language. I befriended two girls, who helped me turn my life around. 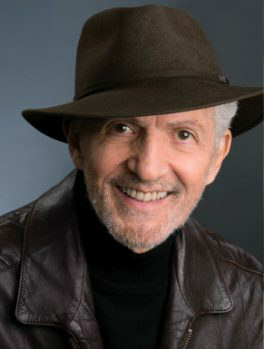 The first love of my life was Anne Marisse, of blessed memory, who was a successful actress and appeared on Broadway in West Side Story, Fiddler on the Roof and many others. I detail her influence on me and how she helped me develop as an actor, dancer and writer. She was the first woman I ever loved and we had a happy life for close to twenty years, when she, too, passed away. I found a way to survive her death by working on two films over the next year and a half. That was when I met Marion Segal, my Bashert and that is what my book is about. She is on every page and in every word. If there is anything of value in this book, it is some aspect of her. Would you recognize your soul’s complement in another? Beyond the bliss of actually finding your soul mate, there is a belief that the universe hinges on predetermined people finding their other half, their Bashert, to maintain cosmic balance. In BASHERT author, screenwriter, director and former rabbi Herb Freed immerses us in the heady intoxication and thunderous losses of what it really means to be Bashert. Dan Sobol and Marion Gladstone meet by chance at a screenwriter’s event in Los Angeles. He’s a rabbi turned director known for his cinematic television commercials; she’s a writer and film editor who is recovering from a tabloid-headline screaming Hollywood divorce. From the moment Marion hears Dan’s voice, she knows—and so does he. It’s Bashert. But when did the course of true love ever run smooth? Dan and Marion are soon partners in business as well as life, traveling the world to create movies. He directs, she writes and edits, and life becomes an amazing adventure—until Cancun. There, among the ruins of the Mayan civilization, Marion has an eerie premonition that has the potential to change everything. Drawing upon his own personal experience, Freed spins a tale unflinching in its examination of life, but weaving along the edge of magical realism. 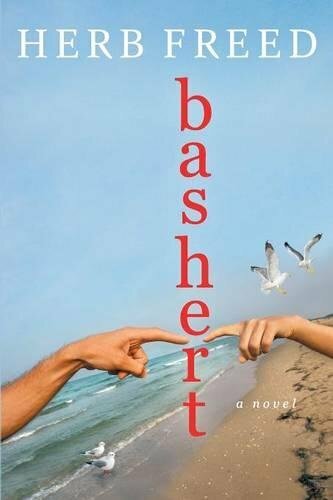 From the bright lights of Hollywood to Mexico, Israel, Paris and the dreamy exhilaration of Jamaica, BASHERT is a love story about transcending life, loss and the boundaries we mistakenly place on our lives and our hearts. This book is captivating and special. I would enjoy this unforgettable story. Since I am Jewish the word Bashert is used a great deal in our family from way back and will continue into the future. No word reflects the meaning except for bashert. Thanks for the wonderful news! I'm really looking forward to this book.